BEST VIEWED ON Medium or larger size print to get the full effect of looking out the window. IDEAL FOR hanging in your favourite spot. Ah.. Paree!! My favourite city on earth. TRULY! Paris is ALWAYS a good idea! Every country and cities has its character. Parisian rooftops with its oyster grey colours mixed in with powder blue, dark lines, cream walls and that wabi-sabi orange terracotta chimneys, has got to be the most iconic urbanscapes in the world. This print is one of my best sellers and the Medium size was SOLD OUT, during its first release. I wouldn't wait to snap this one up if it's available in your favourite size. Open edition prints are subject to an unlimited production run, it is digitally signed. Premium photographic paper 220gsm in lustre finish. I love these sizes! It’s mesmerizing and makes a big impact in any home or office space. 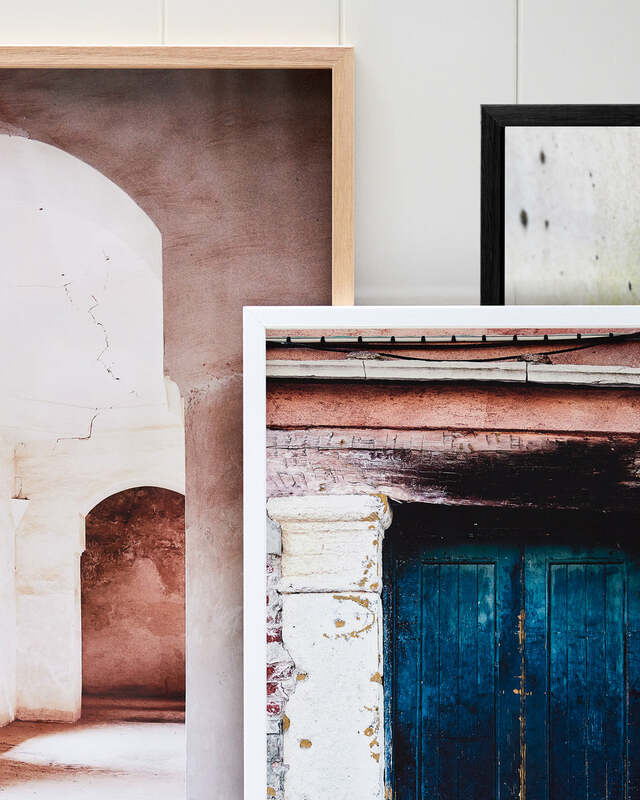 Having these on your wall would transform the photograph into a statement piece, perfect as a striking standalone. Ideal for above the couch, bed, mantelpiece, or in a lobby / reception area in any commercial space. I recommend professional framing for these sizes. This is my most popular size - many of us would have room for this size. It is fabulous as a standalone piece to hang in your favourite spot. I love leaning this against a wall in hallways, entry or reading nook. You can also use this size as a backdrop, layer it with your plants, vases and blooms or your other favourite trinkets above the mantelpiece. I recommend professional framing for this size. These sizes are ideal for creating your gallery wall or display on your book shelves. It is affordable & fabulous as a thoughtful gift. They're equally great as a "fill in" for those negative spaces in your bathrooms, sculleries or staircases - when you pair two or more small prints on a wall to create a desired mood or story. These sizes fit into ready made frames. Unframed prints come in a sturdy mailing tube : please allow 3-15 days. Framed prints: please allow 4-6 weeks. We ship worldwide. To estimate your shipping cost: select the size you'd like, add it to your cart. Then go to the checkout page to enter your shipping address. Shipping costs may be viewed before checking out. We value quality and craftsmanship. Our prints are professionally framed in Sydney, by the number one trusted framer of Australia’s top galleries, renown artists and museums. It is important for us to preserve the longevity of your valuable artwork in the highest quality materials. 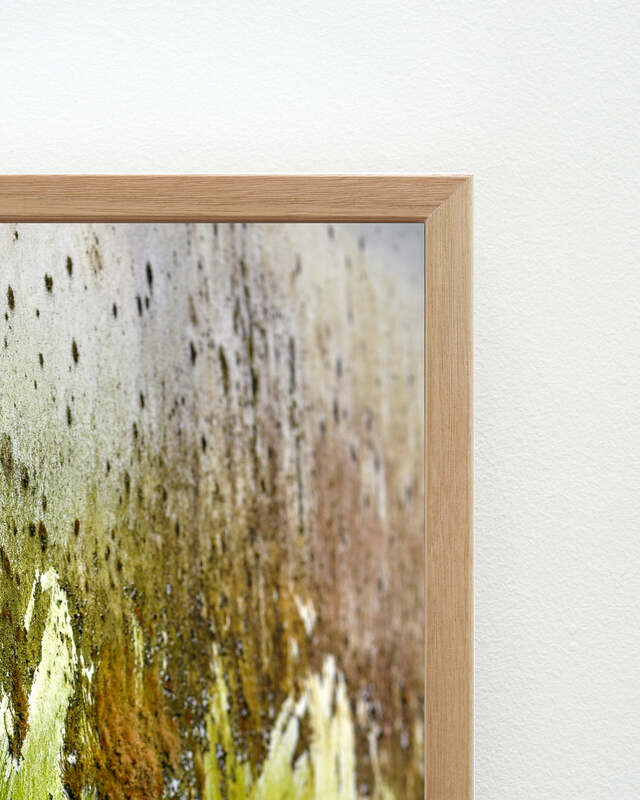 The Box Frame is a contemporary style where the print is set at the back of the frame, noticeably away from the perspex. 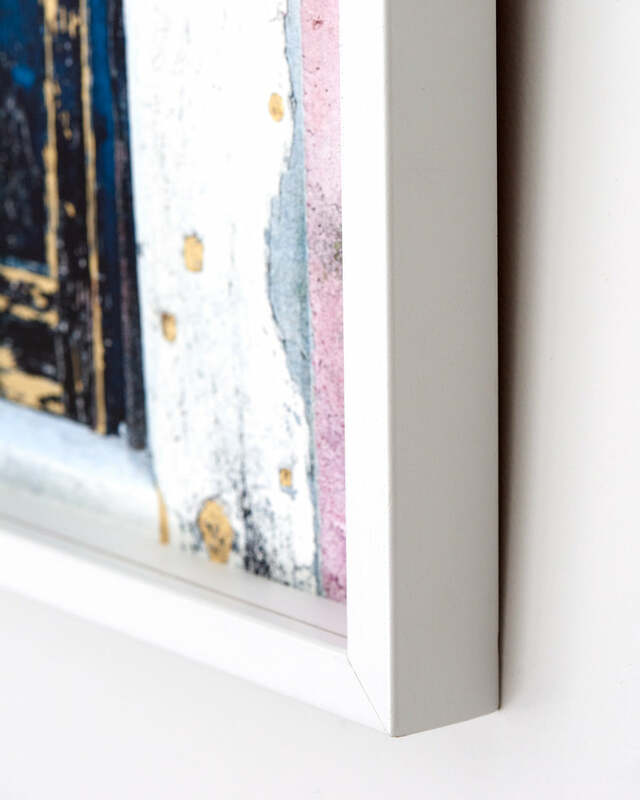 This aesthetic gives the artwork real depth on your wall but also helps the eye see through the perspex to the print itself and allows the viewer to appreciate the fine art paper of the print more easily. 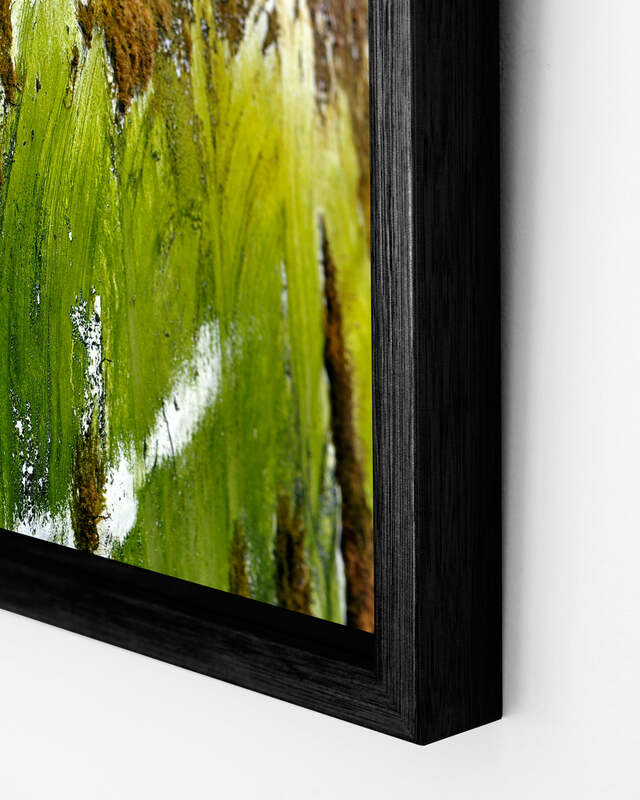 It is one of our favourite contemporary frame styles that gives your fine art prints a modern & professional finish. Erthe frames come with a lifetime manufacturer’s warranty. We now ship framed prints worldwide. Unframed prints are great for gifts which allow the recipient some freedom to choose their own frames or for collectors outside of Australia who wants to minimise their shipping costs. Erthe frames are made from a premium sustainable hardwood timber and a 3mm perspex (less-reflective than normal glass). This will reduce the risk of breakage/damage during shipping, especially for those who are purchasing framed prints outside of Australia. Dimension of frame: 15mm wide at the face and 30mm deep from side on. All frames will arrive with your prints (full bleed - no border) cold mounted. There is 10mm gap from the glass to the artwork; leaving room for the print to ‘breathe’. 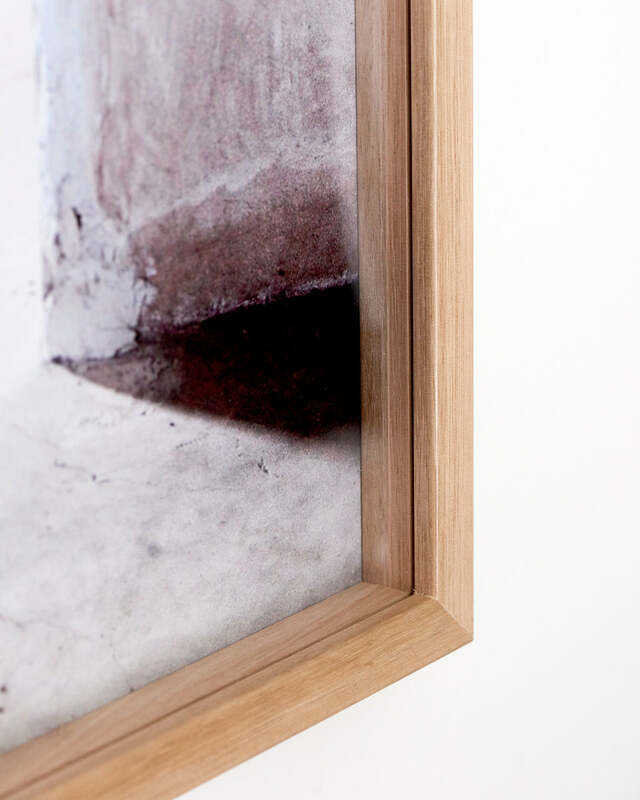 All frames are sealed at the back with an acid-free specialised framers tape to assist with protection against environmental elements such as condensation, pollution. 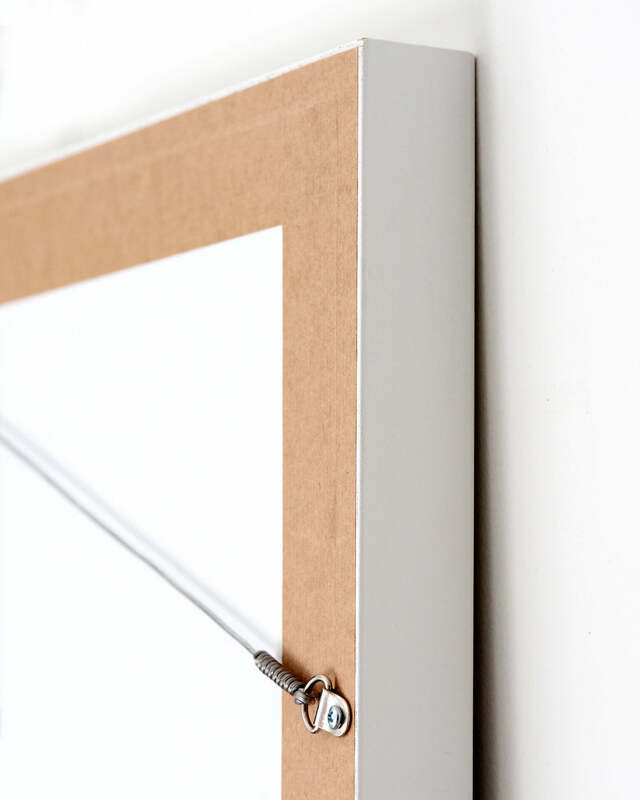 Frames are also fitted with a strong plastic coated wire, ready to hang. Join hundreds of art lovers and never miss out on Erthe exclusive events like Pop Ups, Live Auctions, new releases & special insiders-only offers. Spend over $200 = get A3 poster (valued at $90). Spend over $500 = get A2 poster (valued at $180). Spend over $1000 = get A1 poster (valued at $350). Simply write the title of your favourite poster in your cart, prior to checkout. Offer ends midnight, tonight.